"Man becomes what he thinks about." This category is suitable for anyone who plays the game, from total beginner to advanced competitive player. £30 Annually. This category is suitable for anyone who plays the game, from total beginner to advanced competitive player. Age profile: All age groups. Aim:To provide you with the core development skills to play tennis and enable you to develop, via your own, unique tennis pathway. Includes information on technical; tactical; physical; psychological and the 5th performance factor. Instructional streamed video, audio and documents guides to develop your technical, tactical and physical tennis attributes. Drills and exercises to promote practical application of the instructional information. Access to the Tennis Works Lesson Planner, enabling you to create your own unique tennis lesson drawing on the resources with the site. Access to Tennis Works My Tennis Manager. This is your complete personal online tennis training and development log providing a record of your target setting; goal sheets and performance and achievement. Your own personal download tennis library which you will build up over time with resources for you to own and keep. Access to live and recorded Webinars (online seminars). 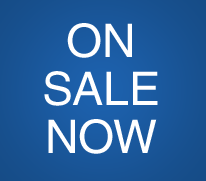 Access to numerous tennis forum discussion groups on any topics members wish to raise. Establish your own social interaction groups with like-minded tennis enthusiasts. 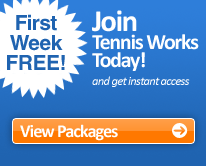 Access to prize draws and special offers available only to tennisworks.net members. Discount of 10% on all shop items and services brought via the Tennis Works shop. This category is suitablefor individuals who are involved or interested in the progressive development of any category of player, from beginner to international level. £40 Annually. This category is suitable for individuals who are involved or interested in the progressive development of any category of player from beginner to international level. It is also of value to any player who wishes to develop their game for helping and mentoring others. It particularly focuses on junior development and is ideal for Parents; Tennis Leaders; Club Officials; Teachers and Volunteers. It is also ideal for adult players who wish to maximise their enjoyment of the game. Age profile:13+ or certified Team Leaders. To enable you to understand and develop the stages of tennis development to include technical; tactical; physical; psychological and the 5th performance factor. To understand the role of the Tennis Coach and how to support and supplement their teaching. To produce a better tennis environment. To promote and help formulate the player/parent/coach relationship. To promote the wonderful life skills that tennis develops. Linkages to educational development and the curriculum. Comprehensive health and nutritional advice. Physical development and stages of growth advice. Injury diagnosis and prevention advice including appropriate first aid. Business support advice including organising tournaments and competitions. Affiliate program giving you the chance to earn uncapped income. This category is suitable for all qualified coaches and assistants, working with beginners right through to international level players. £50 Annually. This category is suitable for all qualified coaches and assistants, working with beginners right through to international level players. To provide you with programme ideas and resources to enable you produce better players who fulfil their potential. To help you run your business more efficiently and improve your earning potential. To help you to interact, teach and learn from other coaches and professionals and give back to the game. To promote the wonderful life skills that the game of tennis encourages and delivers. To promote relationships between coaches, assistants, parents and club officials. Additional resource to that in each of the previous categories including unique video and audio content with coach specific exercises and lessons. Access to the latest coaching methods and practices. Specific coach orientated live webinars. Access to technical video analysis of all strokes. Comprehensive business support packages including best practice and funding applications. Access to partnerships with International Coaches and Professionals. 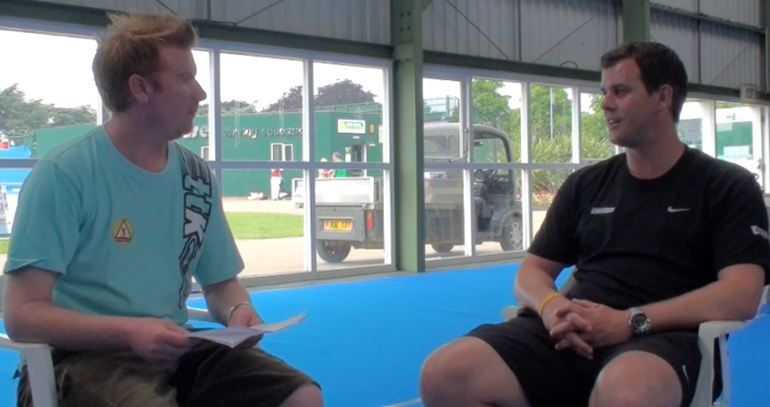 Ask our panel - an opportunity to put a question on tennis related issues to any of our contributors. Discount of 20% on all TW products and services and 10% on all other online shop items. 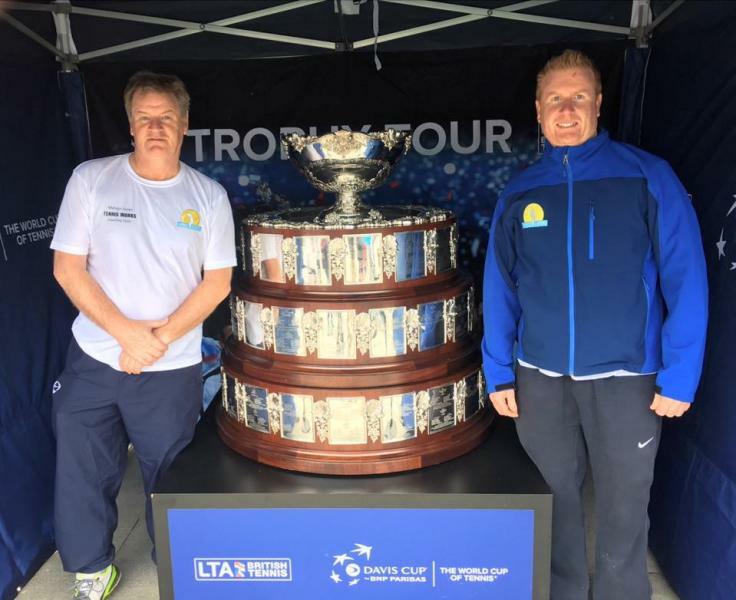 This category is suitable for all coaches and assistants who can attend the regular Tennis Works Seminars within Milton Keynes, United Kingdom. £170 Annually. This category is suitable for all coaches and assistants who can attend the regular Tennis Works Seminars within Milton Keynes, United Kingdom. Please note:Membership to this category is for 12 months and includes six seminars regardless of what time of the year you join. Attendance at four live on site events delivered by experts in their field. The seminars run from November through to February each year. The earning of five LTA development points per seminar attended. Regular networking with fellow coaches and assistants. Access to one e-learning package per year worth four to six LTA development points, dependant on package chosen.